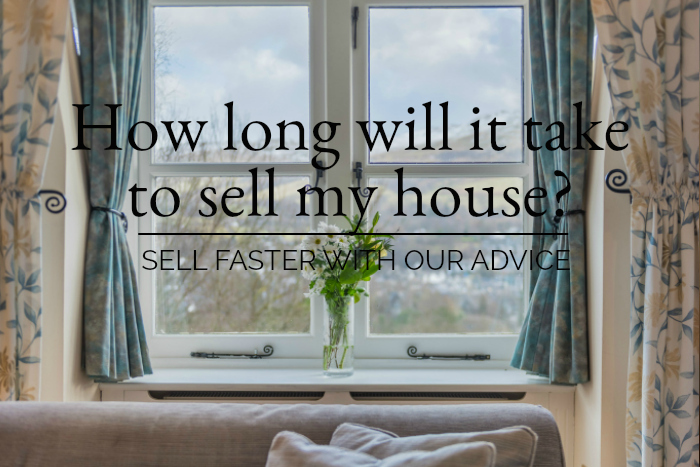 Home > Pricing > How long will it take to sell my house? We were once called in to help a homeowner with a beautiful Georgian home in a pretty village. He and his wife had been trying to sell their house for a soul-destroying seven years. If you asked any of the six or so estate agents who had tried and failed to sell the property, why hadn’t it sold, they would chorus as one: it’s the price. That’s always the reason a house won’t sell, right? But this house had already dropped in price by a staggering 33%, and was now starting to actually look cheap when compared with the competition, so we knew it wasn’t the reason for the lack of a sale. Once we had played detective, we uncovered a whole raft of issues we felt were stopping the house from selling. The presentation of the house, the photography, brochure and written description, all needed improving. Each one on their own maybe wasn’t a deal breaker, but put them all together and add the fact the house had become stale on the market for so long, and a sale wouldn’t happen unless these were all changed. Of course, some sell quickly; even those at a million pounds or more. Still, it may surprise you to know that in the whole of the UK – 27 million households – only 14,474 houses over £1 million sold last year. That’s just 1 for every 10,000 house sales. Of course, not every unique home is over one million pounds, but at Wainwrights we sell a larger proportion of higher end properties than most estate agents. The reason premium homes can take so long to sell is often because their greatest appeal – their uniqueness – can be their biggest weakness. It’s so difficult for a buyer to compare two unique homes. How do you compare a home with a stunning country view, but on a main road, with that of a house wrapped in two acres of landscaped grounds, but no view? These two homes could be at the same price, and be roughly of the same size. So what did we do with the Georgian village home? We tackled the presentation issues fairly inexpensively, styling each room to make sure they looked simple yet elegant. We also put the asking price up, by £50,000, to put it into a new Rightmove price bracket. And then we created a stunning brochure and a Rightmove advert that looked totally different to the previous ones. With a sprinkle of Wainwrights luck, abracadabra, the house was sold inside a month. Once we had identified the factors that were stopping this house from selling, the owners were happy to work with us to rectify the blocks to their sale. Until our visit, they hadn’t known these issues existed. The first step in turning around a failing property sale is to identify what has gone wrong so far. Until you do this, how can you put it right? Whilst some estate agents will assume the asking price is too high, (often a price they themselves valued it at) we first assess at all the other factors, including the way the house is presented, whether that’s right for the target market, the motivation of the seller, the subliminal messages that the photography and words are conveying, and many other aspects that may not be apparent to the seller. With all the houses we’ve helped sell over fourteen years, there has almost always been a host of very subtle reasons a home hasn’t sold. Those reasons would stop a buyer being able to connect with the house, and to see it as their new home. Without this connection, it’s almost impossible to sell your house, other than to an investor with no emotional investment in the transaction. But until you know the reason, you are relying on luck playing a huge part in your property sale. It’s a big gamble that with our help, you don’t need to take. When should you start worrying about my house sale? At Wainwrights, we see so many sellers who have been on the market for over a year, and even three or four years is not uncommon. It’s true that the longer your property is on the market, the less desirable it is to a buyer, and the less confidence your agent will have that they can achieve any figure close to your asking price. It’s therefore really important that your strategy in the first 2-3 months is as well thought out, planned and confident. Be realistic about your asking price. 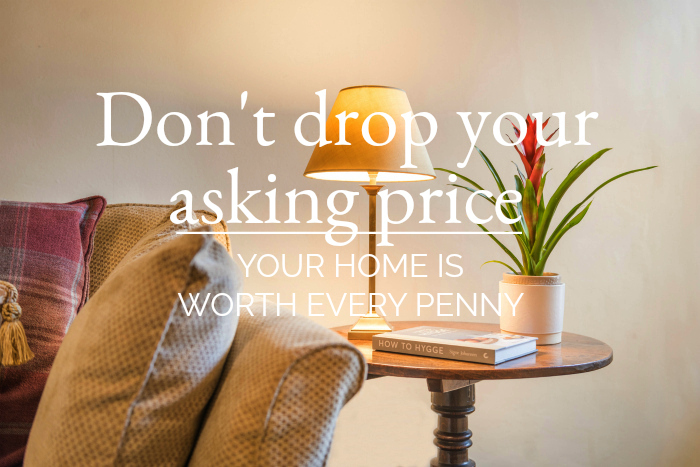 Going on the market at too high an asking price will mean you may not get any viewings at all. If you ask a price that’s in line with precedent in your area and for your type of house, you’ll get viewings, and the valuable feedback viewings produces. Without viewings, you’re in the dark, and the only answer is often to drop the price. rket in September, but you haven’t had any significant viewings or an offer by Christmas, you’ll withdraw from the market until February and take 10% off your asking price. Having a strategy in advance can help take the emotion out of the often difficult decision to reduce the price. Commission a home stylist to give your house a once-over. Even if you and your friends think it’s immaculate, you need independent, professional advice at this crucial time. At Wainwrights we are specially and expertly trained in home styling, and skilled at presenting rooms for photography whilst still being sensitive to the sometimes opposing needs of the homeowner. We’d love to share with you our experience and ideas about your house sale – whether it’s because you’re simply considering a move, or because you have tried to sell but you’re not getting the interest you’d hoped for. Just drop us a line or pick up the phone 015394 88811 – and we’ll pop round for a cup of tea and a chat, to see if we can help you.